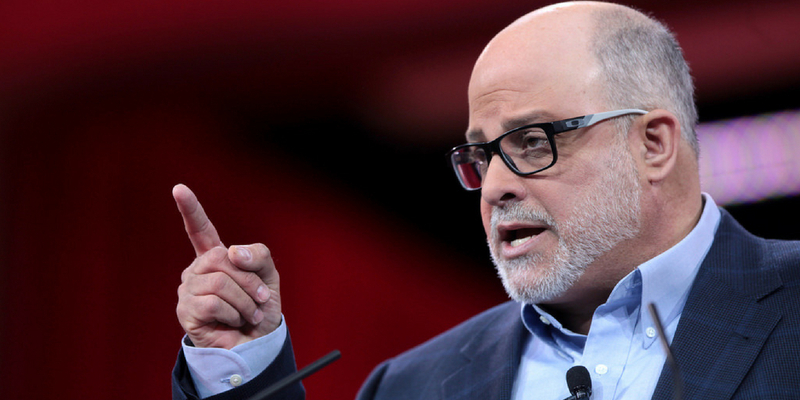 Levin’s remarks came after President Donald Trump announced his intention to sign an executive order ending birthright citizenship for illegal immigrants. “Ladies and gentlemen, you’re on the right side of history. No civil society can survive open borders. None has. None will. We’re a nation-state. We have borders. Borders are to be respected by foreigners. If foreigners want to visit our country, they need permission. If they want to come here permanently, they need permission. If they want to be citizens, they need permission. “That’s the way it works, except if you want to destroy America from within, if you don’t believe in the Constitution, if you want rule by judges, if you want to trash law and order, police, if you want to weaken our military. “This is the poison from within that Lincoln talked about, that Joseph Story talked about, that Jefferson talked about, and so many have talked about. That is, if this nation is to fall, it will fall from within, much like Rome did, much like Athens did. Exactly, and we are the petri dosh that proves his point. Unless we finally take drastic, lawful measures, to start moving back to a civil society, we will be finished. He who sleeps with his front door unlocked and votes for a Democrat, has short life. i feel Mark is ALWAYS RIGHT ON THE MONEY. because anyone who DOESN’T UNDERSTAND THIS ARE FOOLS AND STUPIDER THAN A LAWLESS COMMUNIST DEMORAT.